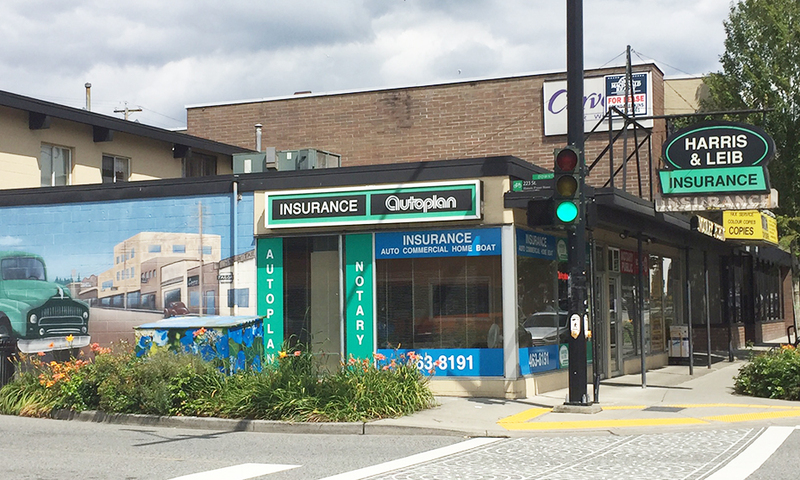 Harris & Leib Insurance is a part of the InsureBC network of insurance brokers – one of the largest insurance broker networks in British Columbia. Through our network we have access to coverages that other brokers may not have. We also provide a complimentary coverage review to all of our customers to ensure that they always have the best coverages possible. At Harris & Leib, delivering outstanding service to our clients is the cornerstone of our business. With knowledgeable, friendly and experienced professional staff, we are dedicated to providing you with the best protection possible. We can customize an insurance policy to fit your needs by giving you the right product at a competitive price. We represent all major Canadian Insurance providers and service all major lines of business, from Commercial Insurance, Auto Insurance, Habitational Insurance, Life Insurance and Travel Insurance (up to $10 million). Whether you are a new or returning customer, we take the time to learn about your life and the insurance needs you may have. This way, you can make an informed decision about the products that could protect your family and your property in case something unexpected occurs. As one of Western Canada’s largest network of insurance brokerages, we have access to coverages that others may not have. We submit quote requests to the largest number of companies possible to get you the best coverage options available anywhere in the market. By providing an informed opinion on your coverages, we feel good knowing that our customers are protected in case of an emergency. We are there to help anytime you need us, which includes industry leading claims service, and yearly reviews to ensure you always have the best coverages possible. Along with providing great insurance options, the staff at Harris and Leib are also active in their community. I would recommend Harris and Leib to anyone looking for comprehensive insurance coverage for the home, property, and business. I don’t have a lot of free time because of work, the kids, and the house so I appreciate how quick and easy my experience is when I come to InsureAlberta. Just renew and go! Great team, great service, and fair prices. I am definitely going to be a returning customer. I like the service that I get every time I go to the office. There is no waiting, and they make it easy for me to renew the insurance on my truck. Thanks to InsureAlberta.